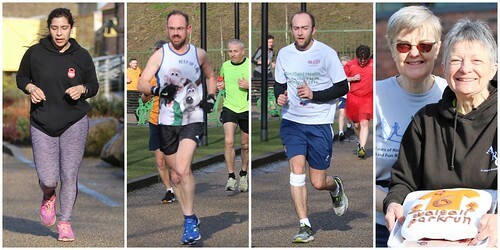 The full results and a complete event history can be found on the Walsall parkrun Results Page. 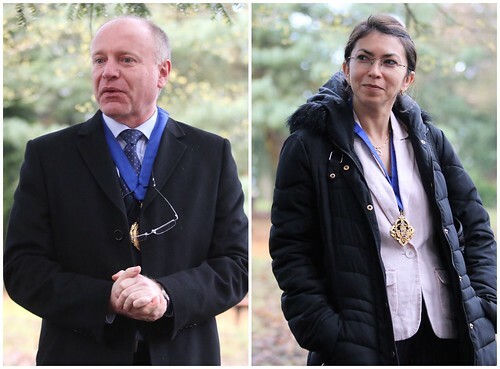 We are grateful that the Mayor and Mayoress took the time to visit us on our birthday and to start the run. We hope you enjoyed the refreshments in the visitor centre after the run. Special thanks to Jane Quinn and Carol Watson for being our hostesses with the most err.... cakes! In previous years, we've given out awards on our anniversary, however I've decided not to this year. In our first year, we averaged 67 runners per week. We now average 417! Mick and Ursula Elwell, always the first ones to arrive and help set up and the last ones to leave after tidying up. Ron Reynolds, for always capturing the atmosphere of our parkrun in his fabulous photos. Harshad Patel, for supporting the Run Directors by helping get the volunteer rota filled up. Gary, Sarah, Pete, Phil and Anne, for Run Directing, ensuring the run is safe to take place and that you all get your results afterwards. There are two specific groups I wanted to thank. Everyone who volunteered. 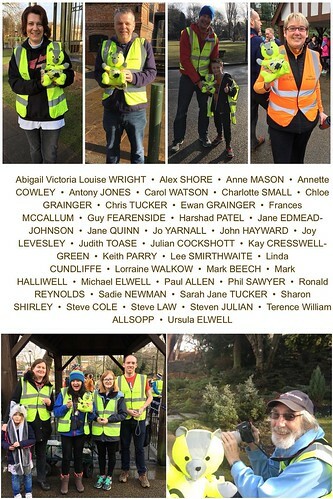 Without marshals, timekeepers, barcode scanners and everyone else, we would not be able to safely put parkrun on in the arboretum. Finally, to you the runners. 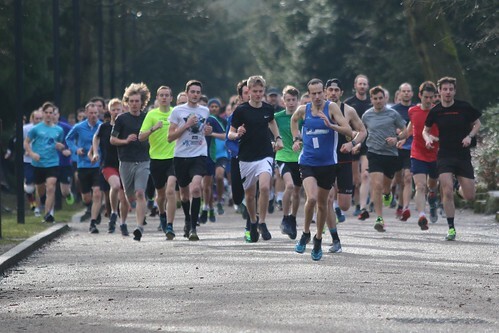 Regardless of whether you are a 20 minute runner, a 45 minute runner, faster, slower or somewhere in between, it is you who make Walsall parkrun what it is. 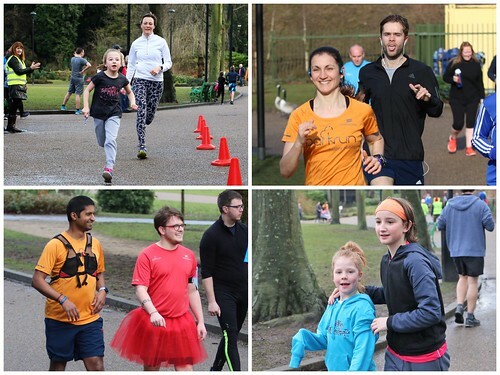 The way you encourage your fellow runners before, during and after the run is what makes our parkrun special and for me, what makes Run Directing a joy and not a chore. 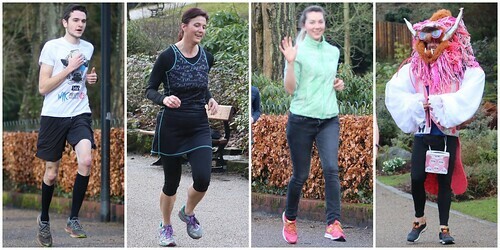 Here's to the upcoming year of parkrunnning at the arboretum! What do you do with old parkrun kit? 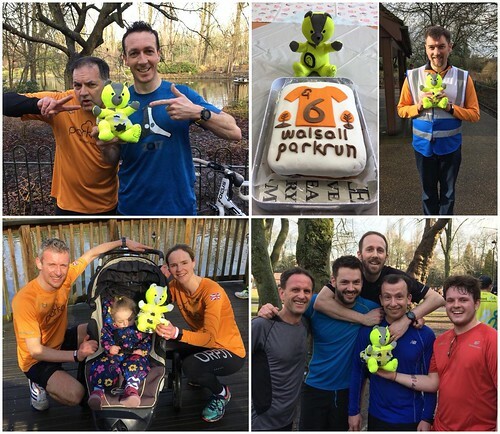 Make it into a bear of course - Wonky Bear jr is visiting parkruns around the country and after being at Hull parkrun on 3 March 2018, he celebrated with us on 10 March before popping along to Bloxwich juniors the following day. It looks like he managed to get his photo taken with lots of runners as well as the Mayor, Mayoress and all the volunteers! His adventures continue at Leamington parkrun next weekend. If you can help us out by volunteering in future weeks, please get in touch. 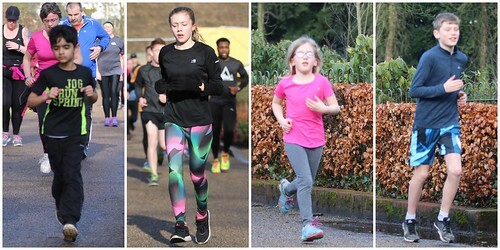 None of the roles are difficult and details of what roles need to be covered are here: https://www.parkrun.org.uk/walsall/futureroster/ . Full training can be given if needed and our current volunteer rota is here. If you volunteer on 25 occasions, you could become the proud owner of a purple t-shirt. This entry was posted in Run Reports by walsalloffice. Bookmark the permalink.